Shirley Winifred Jeffrey was born on 4 April 1930 in Townsville, Queensland. She received a BSc from the University of Sydney in 1952 and an MSc in 1954. For her PhD, she went to King’s College Hospital Medical School in London and worked on the effect of aspirin on carbohydrate metabolism. She was awarded her PhD in 1958. She returned to Sydney in 1951 to work with Dr George Humphrey at the CSIRO Division of Fisheries and Oceanography. This was the beginning of her lifelong career in marine science. From 1962 to 1964, Jeffrey was at the University of California, Berkeley, as a Research Fellow funded by the Kaiser Foundation. In 1965, she was invited to join the maiden voyage of the Alpha Helix, the research vessel of the Scripps Institution of Oceanography at the University of California, which was coming to Australia to study the ecology of the Great Barrier Reef. Jeffrey was a Principal Research Scientist at CSIRO’s marine biochemistry unit between 1971 and 1977. From 1977 to 1981, she was a Senior Principal Research Scientist at the CSIRO Division of Fisheries and Oceanography and then Acting Chief of the CSIRO Division of Fisheries Research (1981-84). In 1991, she became a Chief Research Scientist. From 1978 to 1995, Jeffrey was in charge of developing the CSIRO Collection of Living Microalgae (also known as the Australian National Algae Culture Collection). In 1996, UNESCO published Phytoplankton Pigments in Oceanography which Jeffrey co-edited. 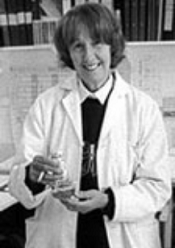 The transcript of an interview with Shirley Jeffrey, as details of her life and achievements can be found by following the links in the Sources below.